I want to talk to you about your hold list. I’ve mentioned before that hold lists are the best thing you can do for your retailer. I know that there are shops that don’t insist on them or don’t do a very good job of fulfilling them, so let’s ignore those folks for now and talk about stores that function like mine (and most others that I know about). When a comic shop is making their order, as I’ve mentioned before, the hold list is the base on which we start — even with a new series or a relaunch, we gauge a lot of customer excitement from how many people have added the book. You know this already, I hope. You know that putting items on your hold list (and removing them) in the quickest manner is a huge help to your LCS. Good, so we have that covered. You also know that there are rules to your hold list. Many shops have specified time periods (at Escape Pod, we ask that you come about once a month, but we’re not too strict on that) in which they would like you to get your books. Some shops expect a deposit for the list or for specific large items, and some may let you back-order books you missed, while others don’t. This is all neither here nor there. Assuming a comic costs your retailer 50% of the cover price (on average — some are more, some are less), the shop is looking to make a whopping $2 off of each $3.99 book you order. Now let’s add a discount (let’s say 10%, since that’s what we give) — you’re at $1.80. Now add the Diamond shipping charges and day-early delivery, which come to pennies per book — $1.75. That would be plenty of cash for most stores if they didn’t have to, y’know, pay employees, pay rent, pay for utilities, etc. 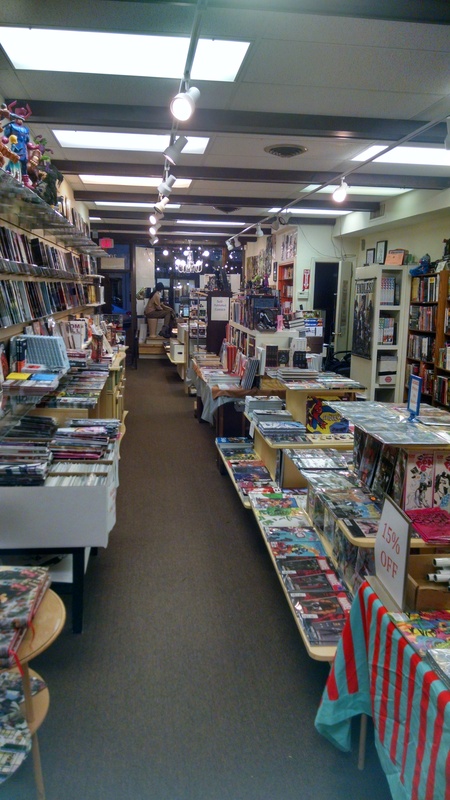 If your comic shop moves 1,000 books each New Comic Book Day (for sake of argument, it’s a made-up number) that means they turn a whopping $1,750 profit. Let’s assume they sell around the same amount over the course of the week — we’re now talking the staggering sum of $3,500. It’s quite possible that this would pay all those utilities and sundries I’ve mentioned above. But you know what we left out? All the other books! 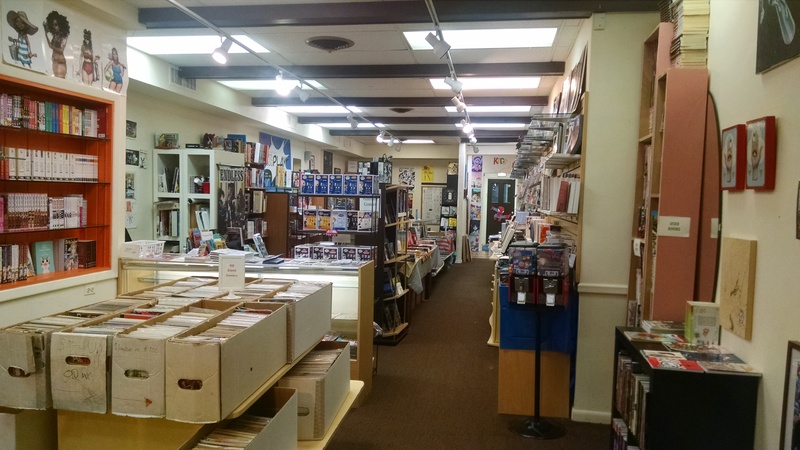 It is a very, very unique comic shop that orders only exactly what their customers are going to buy each week. Every week and every month, as I have laboriously discussed in other posts, is a crapshoot of educated guessing about what will sell. Every single one of those guesstimates is being paid for the same way all the other stuff is — the items you buy. Now, of course, shops have other ways to make profits. Some house extensive back issues or are known for stocking “key” issues, others have gaming or drawing events. I’m not trying to say that your pull list is the be-all-and-end-all of the shop. What I am trying to stress, though, is that it is an integral part. Why am I saying this? Why am I belaboring this? Because every retailer knows the pain of the disappearing hold customer — the person who tells you he is coming, once he’s lapsed, who promises to get their books. Someone who may even come every few weeks, grab a handful and ask if they could please leave the rest. 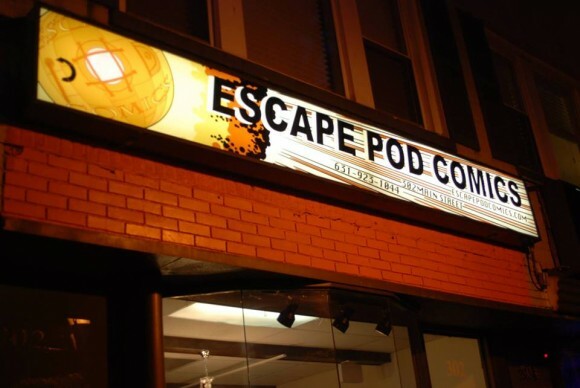 All of that, at Escape Pod, is fine. What’s not fine is when that same person, somehow, just… fades away. Now, depending on how stalwart your shopkeep is, they may only be left holding a few weeks’ worth of books, but those were a few weeks’ worth of books whose profits were depended upon. Those are a few weeks’ worth of books that not only were expected to be paid for, but may have influenced how many copies of a title were ordered. 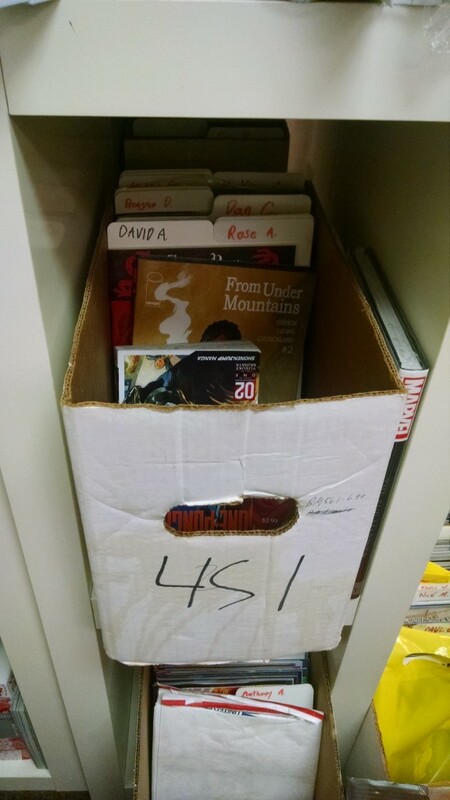 So please, please, please: Pick up your books. Maybe you have to borrow money from a friend or family member to clear your backlog or maybe you need to ask your retailer if there are titles you can take out (those guesstimates may be off and they could need a copy!). Whatever it is you can do, please do — because those books are not just sitting in a box, they’re an albatross around your shopkeeper’s neck. Part of the issue is that comicshops serve a largely niche market of superhero nerds. 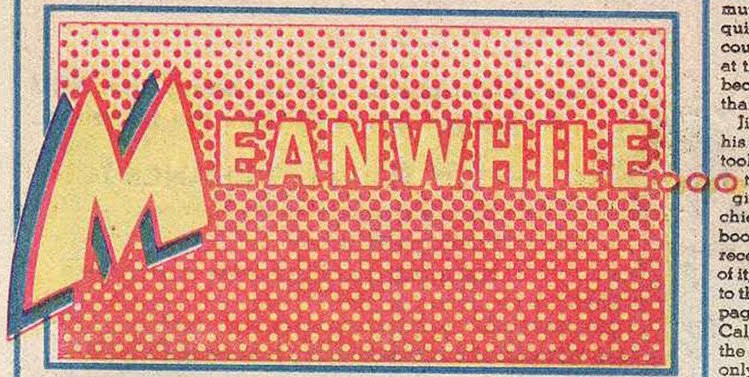 I would bet 99% of your sales are superhero related. But, its a very niche market. And its true those extreme nerds want the continuity in their stories. But by catering to this niche community, you are excluding the mainstream who don’t obsess about continuity. TV shows dont care about continuity because the mainstream is the main audience of TV. But TV isn’t 99% superheros. Sure it has superheros, but it also has other genres. Comedy, horror, drama, etc. Comicshops wont attract the mainstream until they start offering things that are appealing to the mainstream.